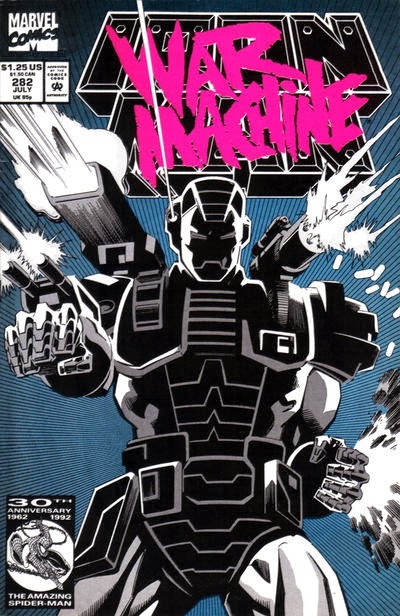 In this issue of Iron Man, Tony Stark tricks the attacking ninjas known as the Masters of Silence into entering his simulation room, which he proceeds to plunge into darkness. One of the Masters counsels his teammates, “Remember the words of Master Zatoichi—‘A warrior’s eyes are the least of his senses.’” Zatoichi is the blind masseur and swordsman played by Shintarō Katsu in a long-running series of Japanese films. Since Zatoichi is in the CU through references in stories by Matthew Baugh and Rick Lai, this reference further confirms Iron Man's presence. Although this story was published in 1992, I have placed it in 1982 to accommodate a more realistic timeline for Iron Man's exploits. Very good catch, Sean! It will be interesting to see how far and wide the Iron Man armors extend into the CU. Crossover Covers: Then Came the Monster!